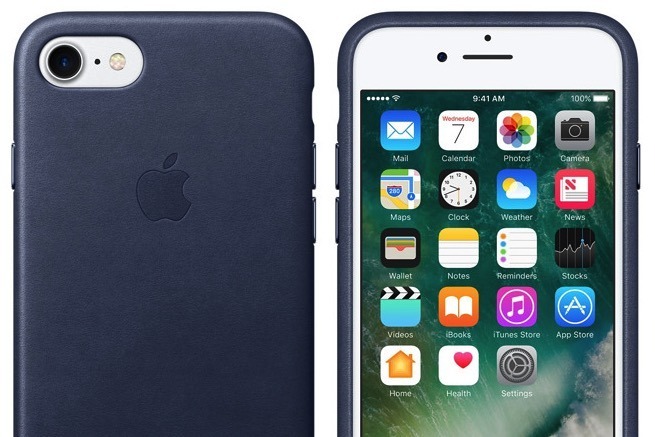 With the iPhone 7 and 7 Plus hitting store shelves, new cases are hitting the market at a rapid rate. AppleInsider has rounded up a list of the best iPhone 7 cases that you can buy right now to keep your device in pristine condition. Now that Apple has officially announced the iPhone 7 and 7 Plus, case manufacturers have been racing to launch compatible accessories. This guide highlights the best iPhone 7 and 7 Plus cases to hit the market as customers await initial shipments of the new devices. During the "See you on the 7th" event, Apple briefly flashed their official line of iPhone 7 cases to audience members. But now that the cases appear on Apple's site, it's easy to see that they incorporate the same look and feel as previous generations. Like years past, Apple has released a leather case in an assortment of colors, including a Project(RED) version. Regardless of which color you choose, the leather case retails for $45 for the iPhone 7 and $49 for the iPhone 7 Plus on Apple's website. If more power is needed, Apple's Smart Battery Case comes to the rescue without sacrificing protection. Apple claims that it will increase talk time up to 26 hours and give users up to 22 hours of LTE internet surfing time for greater productivity. The elastomer hinge makes for easy switching between cases or removing it entirely when you want to go without a case completely. 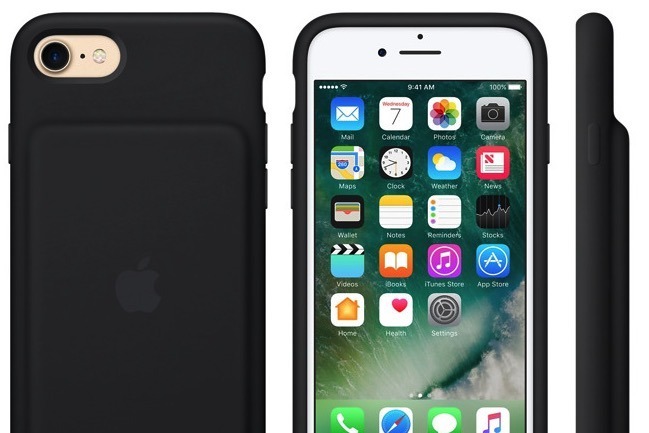 The Apple iPhone 7 Smart Battery Case sells for $99 and is available for purchase today on Apple's website. Currently, only the iPhone 7 is supported. 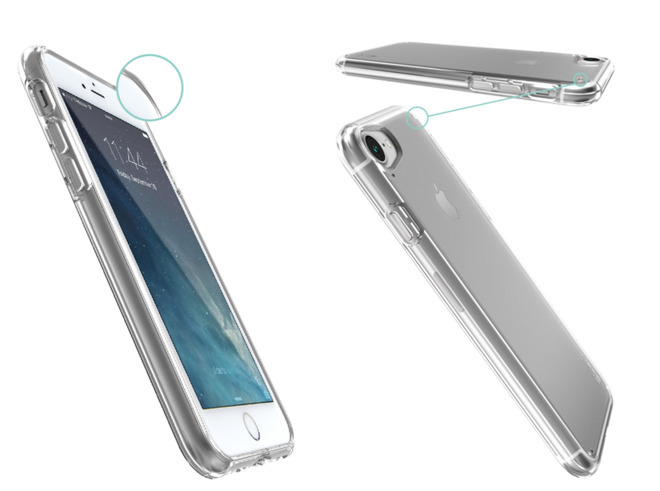 Looking for a durable case that's designed to withstand drops, dust and scuffs? 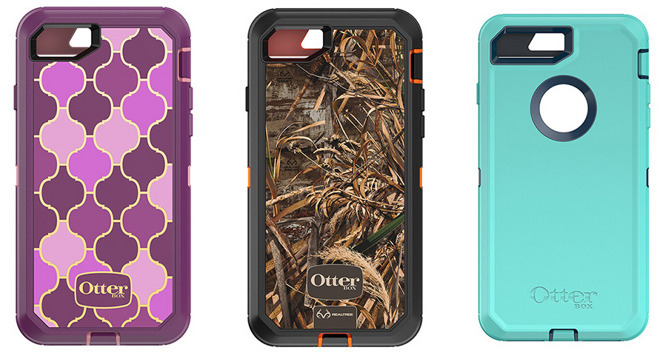 The OtterBox Defender Series consists of a multitude of cases for the iPhone 7 and iPhone 7 Plus that include fun designs without sacrificing protection. In fact, OtterBox performs more than 24 tests spanning over 238 hours before a case receives the Certified Drop+ Protection designation. Defender Series cases for the iPhone 7 start at $49.95, while cases for the iPhone 7 Plus retail for $59.95 and up direct from OtterBox. Plus, AppleInsider readers can save an additional 10% on OtterBox cases with exclusive promo code INSIDER10. Known for stylish designs, Case-Mate's latest Naked Tough Iridescent case for the iPhone 7 features anti-scratch technology and a shock absorbing bumper without skimping on looks. It's also certified to meet or exceed MIL-STD-810GB drop test standards to further protect your new device. 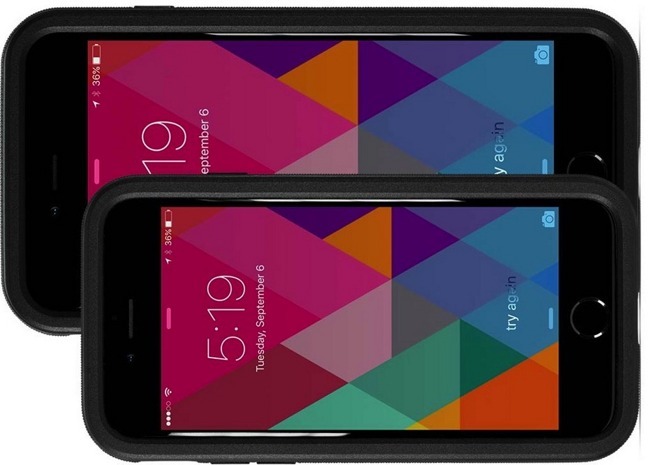 The Case-Mate Naked Tough Iridescent case sells for $35 with free shipping on Case-Mate's site. AppleInsider readers can also save an additional 15% on Case-Mate's entire line of iPhone 7 cases with exclusive promo code APPLEINSIDER15, which is valid through Sept. 30. Another rugged case available for the new iPhone 7 is the Defense Lux from X-Doria. Made from anodized machined aluminum and tested to survive 6.6-foot drops (on concrete exceeding Military-grade drop testing requirements), the Defense Lux is built tough. 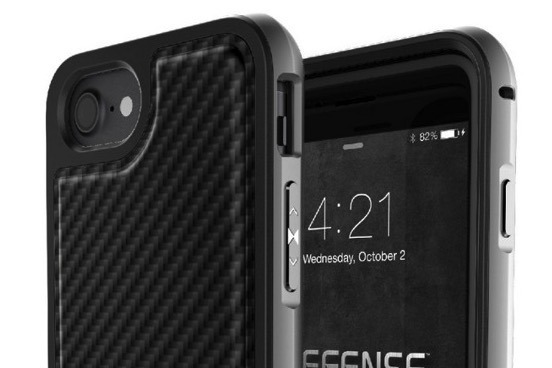 The iPhone 7 Defense Lux case is currently selling for $34.99 at Amazon.com, which is $15 off MSRP. Prefer to pair device protection with card and ID storage? The X-Doria Stash has a sliding rear panel that conceals up to two cards for added security. The Stash Case for the iPhone 7 sells for $34.99 on X-Doria's website. Plus, shipping is free. Speck, a well-known case maker, has launched a variety of iPhone 7 and 7 Plus cases as well —but the Presidio Inked collection stands out due to the unique designs combined with enhanced protection. Presidio Inked cases feature bezel screen and port protection in a dual-layer design with a scratch-resistant finish. The Presidio Inked collection retails for $44.95 for the iPhone 7 and $49.95 for the iPhone 7 Plus on Speck's website. 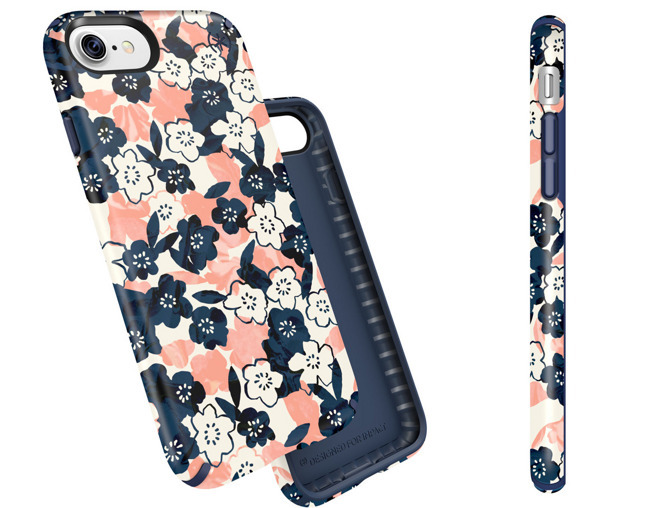 Like other case manufacturers, Newertech has also revamped its case lineup to include the new iPhone 7. 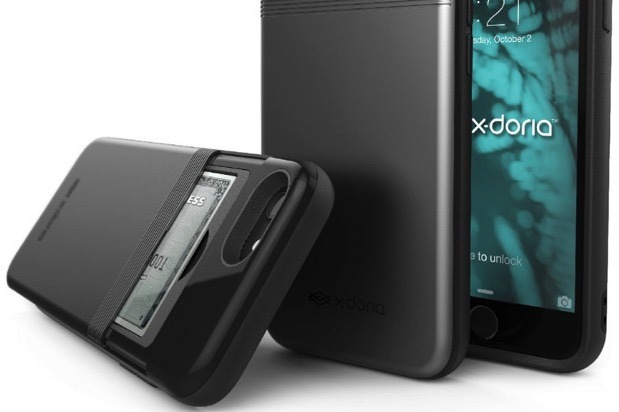 The refreshed version of the KX case still utilizes the company's "XOrbing Gel" to protect against impact and features a one-piece design with a hard outer shell. The KX case comes in Black, Midnight, or Crimson. The iPhone 7 version retails for $50-$60 but is marked down to $29.99 at MacSales.com, while the 7 Plus case is reduced to $33.99. 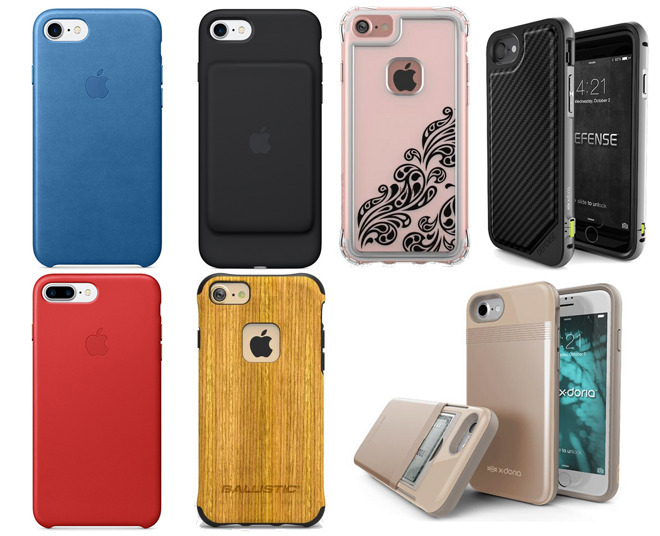 Ballistic has also thrown its hat into the case market for the iPhone 7, with 12 choices of colors and designs. 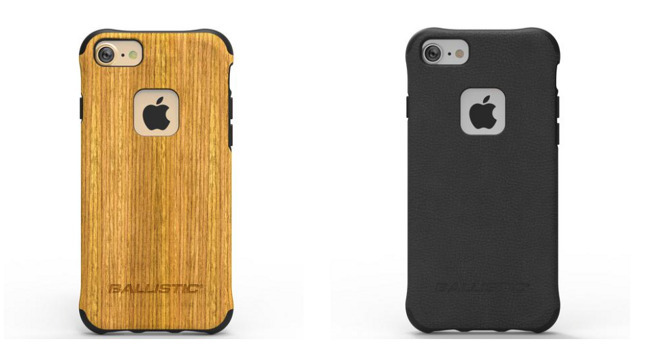 The Ballistic Urbanite Select series comes in Faux Wood Grain or Black and sells for $30 on Ballistic's site. 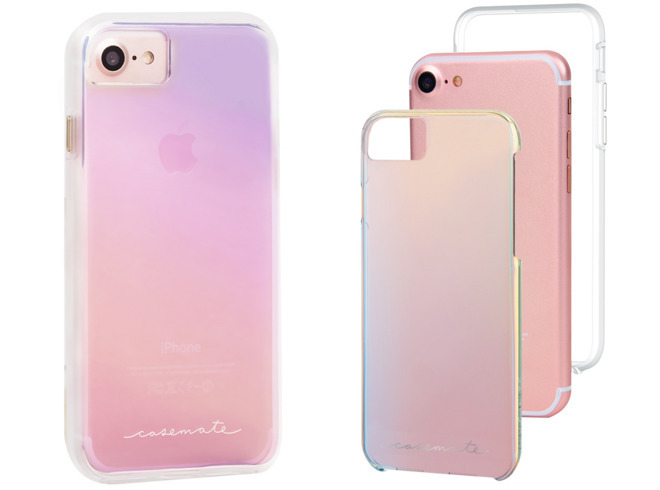 Users seeking a case design that lets the iPhone's colors come through can choose the Jewel, Jewel Ice, or Jewel Essence Series of cases, which offer six-sided drop protection technology in a sleek package. The Jewel Series cases are $19.99, while the Jewel Ice and Jewel Essence versions retail for $29.99. Want to showcase that new Jet Black finish? 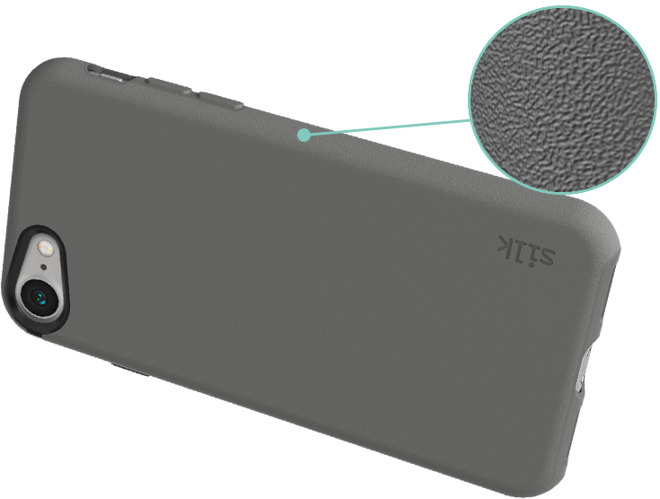 Instead of obscuring Apple's styling, the PureView Clear Case from Silk Innovation features shock absorbent edges without masking the sleek details that make iPhones attractive. The case also features elevated front and rear lifters to guard the screen and backplate from scratches —all with an ultra-slim profile. The PureView Clear Case sells for $13.97 on Amazon.com. The same price applies to both the iPhone 7 and 7 Plus versions. For a better grip on your iPhone 7, Silk Innovation also offers the Base Grip Slim Case. The textured case provides more traction for sometimes slippery fingers and it also includes a scratch-resistant screen protector film. The Base Grip Case is available in Black Onyx, Gunmetal Gray, Blue Jade and Purple Orchid for both the iPhone 7 and 7 Plus. Prices start at $11.99 on Amazon.